The nine large pieces of the new "Falcon's Fury" drop tower attraction at Busch Gardens Tampa arrived. After a month long trans-Atlantic trip, the body of the tower arrived via semi-trucks to the park. 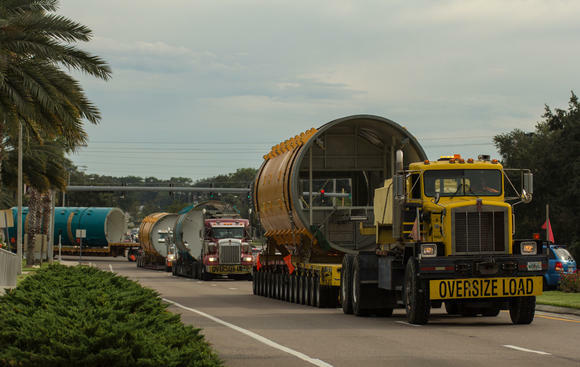 Over two days the pieces moved from Port of Tampa to Busch Gardens. Each section can weight up to 95 tons, the total weight of the tower pieces is 519 tons, stated Busch Gardens Tampa. Smaller parts of Falcons Fury have already arrived from several countries around Europe. 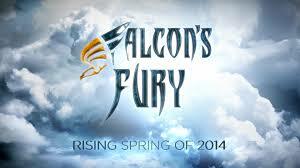 Falcon's Fury is set to open to the public in Spring of 2014.